These can be purchased a la carte for $475 or added on to any Grow With Me Package for an extra $200. all decor (accessories, cake stand, banner, props, and backdrop). cake (custom cakes provided and contracted out to a local bakery (Triple Crown Bakery in Franklin), please advise on food allergies). 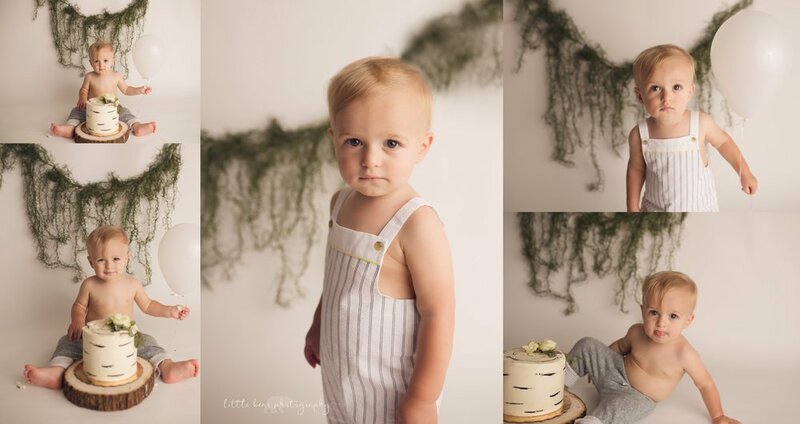 All the details including clean up are handled by Little Bear Photography so you do not have to stress AT ALL! These will be in studio only. Full amount is due at booking so that decor can be purchased and cake can be reserved as soon as possible.